Robert Axelrod and postdoctoral research fellow Rumen Iliev have created a mathematical model to better understand internet security risks by analyzing when attackers are most motivated to exploit vulnerabilities in a target computer system. By defining the ideal time for an attack, the model can contribute to security strategy by helping identify high-risk targets that require special protection and inform government decisions on cyber operations. "One of our major contributions is to develop some concepts to deal with this new realm of cyber conflict. It took 15 years in the nuclear world for people to understand the implications of nuclear technology. It is our hope that it won't take that long to understand the strategic capabilities of cyber technology." The coverage highlighted that the model would have perfectly predicted the Stuxnet attack, which made headlines in 2010 for interrupting operation's in an Iranian nuclear facility, as well as Iran's counter. 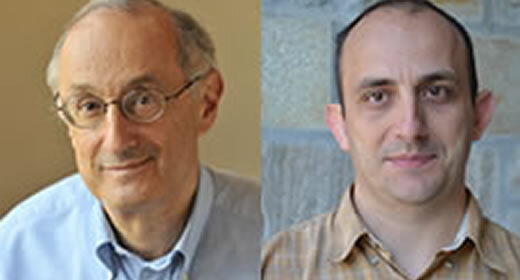 The research behind Axelrod and Iliev's model appears in the Proceedings of the National Academy of Sciences.